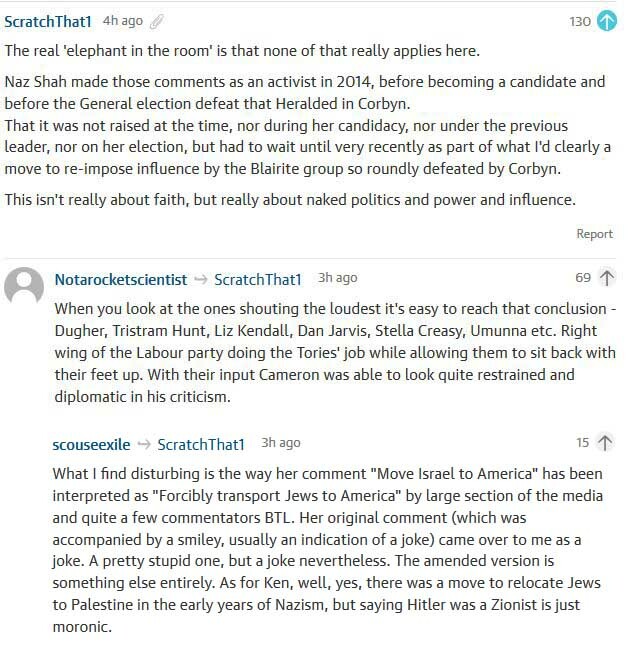 See my post of five days ago, after Malia Bouattia’s election as NUS President. Now right wing blogger Guido Fawkes is bragging – with some justification, more’s the pity – that he forced Labour to suspend Naz Shah, who last May unseated George Galloway to take Bradford West. A few points. One, nobody – not Fawkes or anyone else – has shown how Shah’s ill phrased antizionist comments are antisemitic. 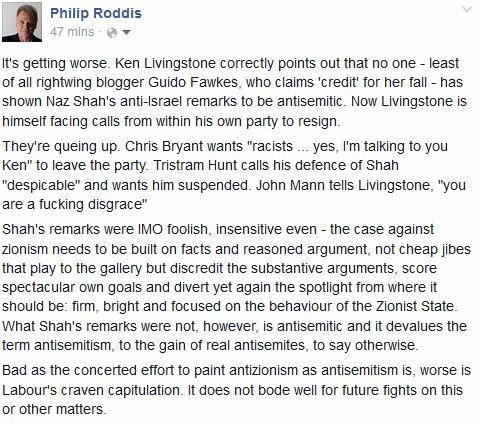 Two, Labour has caved in (again) to pressure from the right. Three, a woman who made pointlessly inflammatory comments about Israel is wrongly – stupidly or cynically? 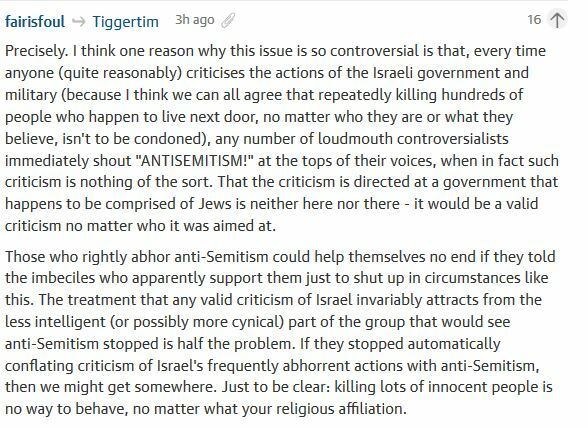 – accused of antisemitism while (again) Israel’s racist bullying goes unchallenged. 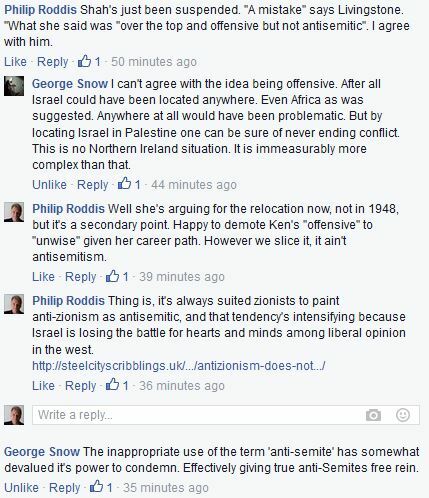 Four, as George Snow (below) observes in a Facebook exchange tonight, the charge of antisemitism is devalued to the gain of the real antisemites, whose ranks do not include the merely foolish Naz Shah.